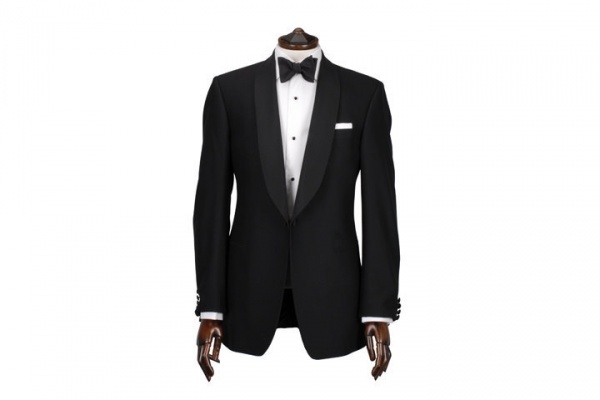 Ede & Ravenscroft goes for a classic look with this black shawl collar dinner jacket. A traditional shape, you can see a pure wool design, single shank button closure, and ventless design. The buttons and lapel facing is done in grosgrain. Available online now. This entry was posted in Black Tie, Tops and tagged Black, Ede Ravenscroft. Bookmark the permalink.